A $493.05 value! This is the best way to experience everything the faire has to offer! Same price for Adult or Child age 5+. Children age 4 and younger are always free. The purchase of a Season Pass allows you entry every day of the 2019 season at the deepest discount available. Valid for admission all 19 days of the 2019 Bristol Renaissance Faire. (Open Saturdays and Sundays, plus Labor Day Monday, July 6 thru September 2, 2019.) Pass is non-transferable. Purchase your Season Pass online, print at home, and bring it to the Box Office to receive your punch card. Name on the season pass must match your government issued photo ID. Do NOT scan your season pass at the gate. Please bring it to the Box Office. CLICK HERE TO PURCHASE YOUR SEASON PASS. Friends of Faire Memberships can be purchased online by CLICKING HERE or at the Friends of Faire Garden during a normal Faire operating day. 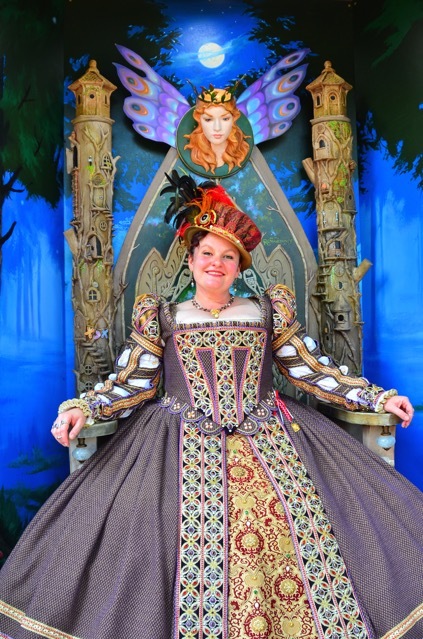 Members still need a ticket or a season pass to get in to the Faire. The opportunity to get to know other faire fans like yourself! A Prepaid Season Parking Pass for the lot just to the south of the Front Gate!